Network connectivity is very fluctuating in mobile devices. User may be using your app in Hi-Speed internet or low-Speed internet. whenever there is low internet connection or no connection User device Android webview display actual URL with some error messages. So you have to check your app in all environments. Otherwise you may leak your website URL accidentally which may consist of URL parameters. You never know your user is normal user or hacker so this way you can leak some data to any one. 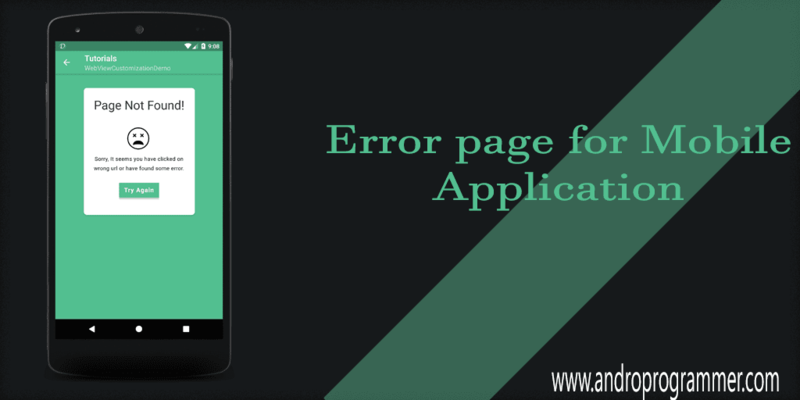 So to make your app secure follow this tutorial and create your own error page for your application. Android Webview widget have very handful methods which you can use to identify error types and display message accordingly. In this tutorial I am going to display my default error page in all cases and network message if internet connection is not available. But you can implement it as per your requirement with different error types like Unauthorized web page, SSL error etc. That's it from my side. for html code checkout my github repo. Now run the app and see the result. If you have any query please let me know in below comment box.